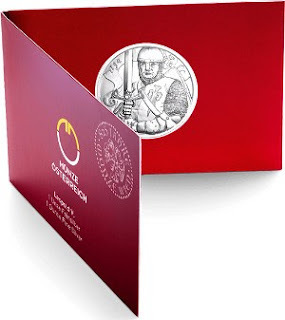 The first of the three coins that celebrate the 825th anniversary of the Vienna Mint, composed of an ounce of silver, is dedicated to a key figure in the monetary history of Austria. A man whose legacy is still alive today, Duke Leopoldo V.
In 1191, two crusaders, Duke Leopold V of Austria and King of England Richard Heart of Lion, fought during the capture of the city of Acre. In December of 1192, on his way home from the Holy Land, Ricardo was arrested by Leopoldo on the outskirts of Vienna. Enclosed in the Castle of Dürnstein, the legend says that Ricardo was located by his troubadour Blondel, who traveled from castle to castle singing a song that only he and his teacher knew. The huge silver ransom, which Leopoldo managed to extort from the British in exchange for Ricardo's liberation, was used to found the original mint in Vienna in 1194. Leopold also used silver to build fortresses like Wiener Neustadt. Leopoldo's achievements helped Ostarrichi, as Austria was known, to become a great European power. 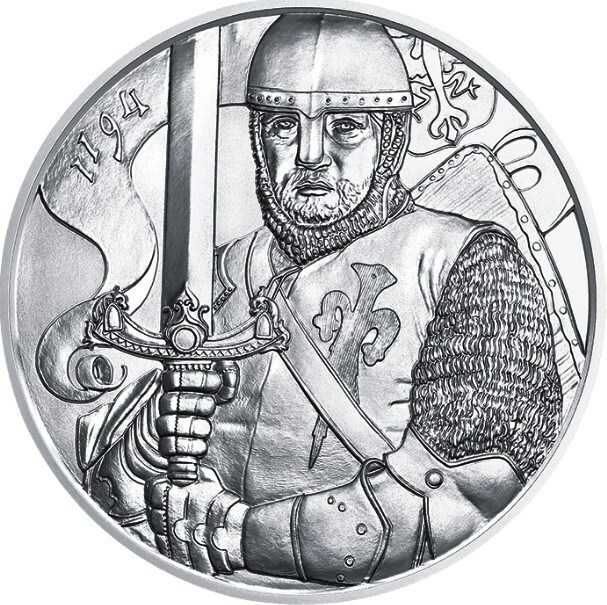 The coin shows the noble crusader Leopoldo V.
On the other side of the coin is Leopoldo V on horseback, based on his own personal stamp. 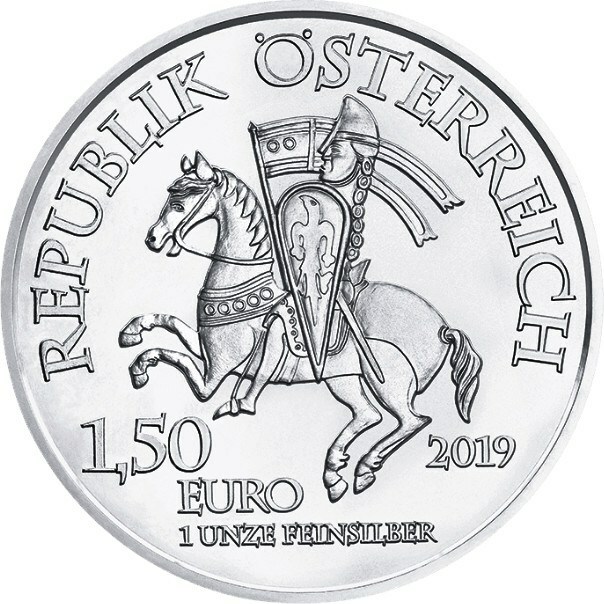 The name of the issuing country "Republic of Austria", the year of issue "2019", the face value 1.5o euros "and the composition of the piece" 1 ounce of silver ", complete the field. 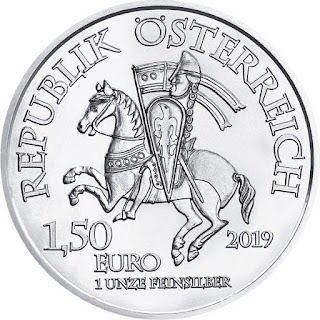 The advertised price of sale in the online shop of the Austrian Mint is € 24.47 including VAT, to which we would have to add the shipping costs. The issue volume is 100,000 coins of each of the series. 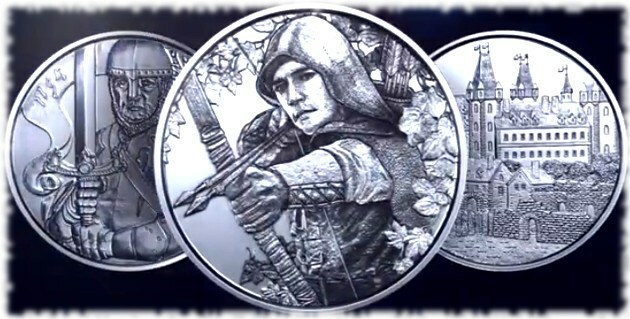 Image of the three coins that make up the series and the promotional video.